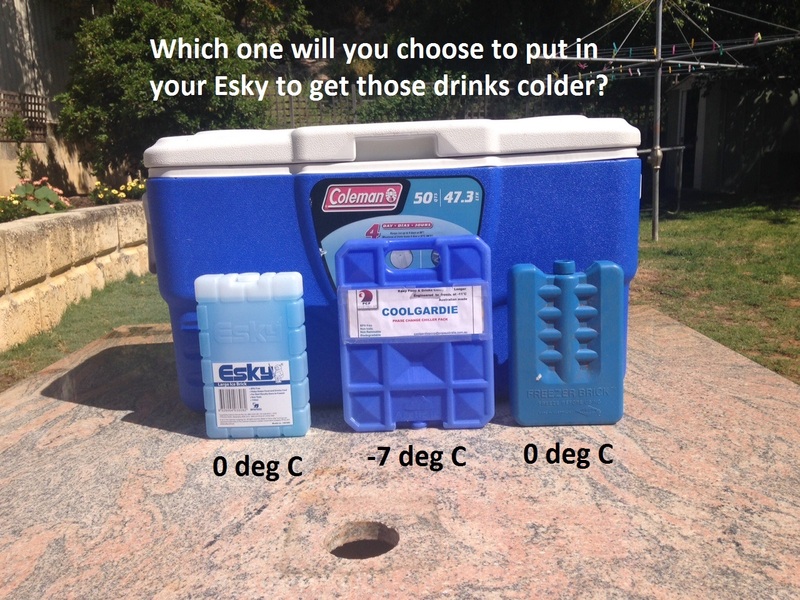 (recommended 2 Packs for 26 litre Esky size). frozen range that we require. The PCM is Australian made. It is the active ingredient of the PCM that separate the Coolgardie Phase Change Chiller Pack from ice and other ice substitutes. The number of Packs used should be based on the contents and size of the container to be cooled. Indicatively two Coolgardie PCCPs for a 25 litre container with pre chilled contents. It becomes very economical over multiple uses. You would generally use close to the same weight of Coolgardie PCCP as you would regular ice. Indicatively, a 15 to 1 ratio of the internal volume of the container to the amount of Coolgardie PCCP used. Best results are achieved by chilling food/drinks beforehand, stacking contents to minimise spare space, placing at least one Coolgardie PCCP on the bottom of the container and not constantly opening the container. IDEAL FOR CAMPING, FISHING, BOATING, CARAVANING, PICNICS, BARBEQUES, LONG CAR TRIPS OR ANYWHERE 24 HOUR POWER IS NOT ACCESSABLE AND THERE IS A NEED FOR PERFECTLY CHILLED DRINK OR FOOD. THAT IS – EVERYWHERE. If interested or additional information is required please email coolgardiepccp@pcpaustralia.com.au Orders can be placed on line. Future products and pack sizes will be developed based on feedback from customers. If you would like to place an order please complete the form below and we will be in touch with details.